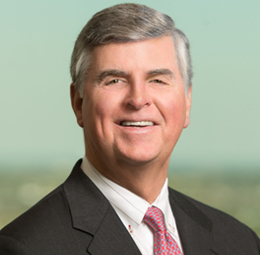 Tom Garth practices in the areas of taxation, corporate and estate tax, estate planning, qualified retirement plan, corporate, mergers and acquisitions, foreign tax planning, securities and health care. He has practiced before probate courts, state courts, U.S. district courts and tax courts. Mr. Garth regularly represents clients in the formation of family limited partnerships, LLCs, wills, grantor retained annuity trusts, grantor trusts and other leveraged estate planning opportunities. He also regularly assists clients with estate tax return audits and handles large-scale IRS disputes. 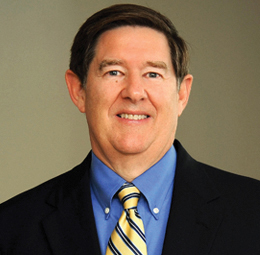 Mr. Garth has been a Fellow of the American College of Trust and Estate Counsel since 1989. Mr. Garth is the practice coordinator of the business group in the Mobile office. He was with Lyons, Pipes & Cook in Mobile before the firm joined Phelps Dunbar. He was an officer in the U.S. Navy from 1970-71, where he was stationed on the U.S.S. Lexington, CVT-16.